Displaying maps on mobile devices is a common requirement. I expect a mobile map to be scalable, rotatable and always readable. The data that needs to be transferred for showing the map should not exceed my monthly free data amount. Most applications display raster maps that consist of several image tiles. The problem is: If I rotate the map everything, also the lettering and symbols, are turned and finally displayed upside down. On my high definition display the lettering is tiny, hardly readable and despite image compression the data consumption gets high when zooming and panning in a regular manner. This is how we solved this challenge with the OpenSource GeoServer extension gs-mvt. Only a few web-map frameworks like OpenLayers support map rotation. Rendering the map directly on the client would solve most of these issues. Over the last years, mobile devices became more powerful and mobile web-map frameworks using Web GL like Mapbox GL or Tangrams have been established. These frameworks request vector tiles from a defined backend. In my case I want to host my own map data. There are existing solutions like TileStache which is written in Python. But if you are used to the Java-World and GeoServer, as I am, a GeoServer would be the preferred option. GeoJSON and TopoJSON are JSON extensions and consequently text containing attribute-value pairs. TopoJSON is much smaller than GeoJSON but less readable. A good blog entry regarding size reduction with TopoJSON has been posted by ZevRoss. Mapbox Vector Tiles use google’s protocol buffers as binary output format which is even much smaller than TopoJSON but not human readable. Both standards have REST like structure. The TMS allows different clips and coordinate reference systems. Slippy Map Tiles is a special TMS restricted to the Transversal Mercator Projection with mirrored y-Axis, a defined origin and used by big players like OpenStreetMap, Google maps or Bing maps. Consequently the slippy map tiles have become to a de facto standard in serving tiles. The OpenSource GeoServer supports most of the OGC compliant standards for web mapping, is shipped with a tile caching system (GeoWebCache) and easy extensible. To address the problem I developed an extension that adds the ability to the GeoServer’s Web Mapping Service (WMS) to deliver Mapbox Vector Tiles. If you have installed this extension (gs-mvt) and trigger a WMS request with the format parameter “application/x-protobuf”, a google protocol buffer encoded tile is returned instead of an image. Additionally gs-mvt provides a controller that converts Slippy Map Tile requests to WMS compliant ones and redirects the client. Unfortunately I did not find a way to extent the (internal) GeoWebCache, for caching binary vector tiles, without changing the source code. 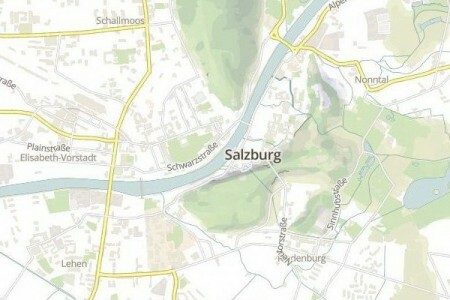 Consequently all vector tiles requested from the GeoServer are rendered “live” in the current version. To visualize the results I used the Mapbox GL JS client and referenced to a custom TileJSON (endpoint definition file) that contains the URL to my GeoServer. The styling on client side is done with a Style JSON that is structured similar to CartoCSS. For use with the GeoServer it is mandatory to set the “source-layer” attribute to the GeoServer’s layer name. The Style JSON allows the definition of more than one source, so I combined my custom street layer with the OSM data retrieved from the Mapbox server. In contrary to a WMS overlay, my custom data is embedded and rendered together with the Mapbox data. The extension gs-mvt , developed by Salzburg Research, is available on GitHub and currently tested with GeoServer 2.6.2. We intent to use the vector tile delivery with gs-mvt for our mobile Floating Car Data Application to support more devices with high resolution displays and offer a better user experience. The GeoServer response time might get longer in case of many users, so in a next step I will modify the GeoWebCache to allow the caching of these Mapbox Vector Tiles. Als Software Engineer beschäftigt sich Stefan Henneberger bei Salzburg Research mit der Entwicklung von Geo-Webanwendungen unter der Verwendung von OpenSource-Technologien. Er fokussiert sich auf die serverseitige Verarbeitung von Geodaten sowie deren Visualisierung in verschiedenen Verkehrs- und eHealth-Projekten. Employed as Software Engineer at Salzburg Research. 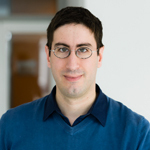 Stefan Henneberger develops Geo-Webapplications using open source frameworks. He focuses on serverside processing and visulization of spatial data in traffic and eHealth projects.